Sven P. - the big nothing! maybe Sven Pendialzek is the seller??? I suspect that you are correct, Christian. The seller's eBay id is Pendztyle, which looks a bit like the last name of the signature. This could be the beginning of a new selling strategy! 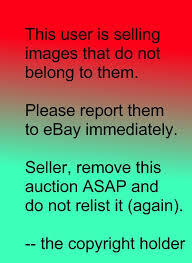 this shows that the seller tries to trick somebody in paying too much money for nothing! Browsing "schachcomputer" on German Ebay you do come across the occasional oddity. This chess computer is signed by the very famous Sven Pendzialek so is worth every cent of 550 Euros I suppose. No wonder this seller has Svens autograph what with his Ebay ID bearing a certain similarity. It got me thinking whether I should be selling my autographed machines on Ebay. Now let me see - ah yes there is the famous Fidelity Chess Challenger 1 signed by Bobby Fisher. That should be worth a bit.